I’m pretty small. 5’2” When I taught HS, everyone thought I could pass for one of the students. Make sure you know how to finish. Starting is usually fun, thrilling when the idea of a story begins, but the discipline of finishing is what separates the real writers from the wannabes. I suppose one would be not taking yourself or your work too seriously. For those who are unfamiliar with your novel: Out of Reach, how would you introduce it? Out of Reach tells the story of Rachel Stevens, a sixteen year old girl, who’s older brother Micah has left home. Micah has struggled with meth addiction for a couple of years and Rachel has helped foster that by not telling their parents when she should have. After receiving an anonymous email that Micah may be living on the streets in San Diego, Rachel enlists the help of Tyler, one of Micah’s friends, in tracking down Micah. The action of the novel takes place over a 24-hour period. There are flash back chapters interspersed throughout that reveal Rachel and Micah’s relationship over the years. It’s a heartbreaking story of the effects that addiction has on the family members of an addict, and one that ultimately shows the reality and the hope of that struggle. One of the most surprising things was how guilty Rachel felt. I knew she was angry and kid of a bit judgmental because she’s trying to deal and work things out. But she also carries this immense load of guilt. And in talking to families who have someone who is an addict, guilt does play a huge role. It’s kind of a silent guilt that also translates into shame and anger. I wanted to tell a side of addiction that I haven’t seen told much. There are plenty of books out there from the addict’s perspective, plenty of really great ones. But I haven’t come across them from a sibling’s point of view. As I launched into the writing of it, I felt like I had something fresh and compelling to add to the cannon of books dealing with addiction. For those who are unfamiliar with Tyler, how would you introduce him? Tyler is seventeen years old and Mexican American. He’s a soccer player and a bass player in a band with Micah. He’s one of those guys that carries himself with confidence, yet he’s not as confident as you’d think. He’s very intuitive and has a great deal of empathy. His motivation for going with Rachel to look for Micah may be more complicated than what is on the surface. I think I’d like Rachel to meet Taylor from Jellicoe Road. Taylor’s been through an ordeal not just with the Townies vs. the Cadets, but also with the whole losing your parents thing. She’s got these huge walls and is tougher on the outside than Rachel, but for some reason, I just think they’d get along very well because they’ve both suffered. I think Gary Schmidt once said that authors shouldn’t talk too much about what they’re working on because it changes. It’s not done until it’s done and even then it won’t be done. But I can say I’m currently working on a LA based story about a teen boy who’s dealing with grief. Such a difficult question because I’ve actually been able to travel a great deal. But I’d have to say there’s a certain bamboo forest with these huge trees that literally fold over and cover up the sky above you, and when you stand still and listen, you can hear the stalks clinking together as if they’re applauding you. It’s so beautiful. It’s in Maui. I was in Jr High at a friend’s birthday party and we decided to play Truth or Dare. I ended up getting Dare, and it was for a friend and me to kiss. So we did in the closet. Ha Ha. Not terribly romantic or memorable, except I remember being terrified and happy because I had a secret crush on him. What’s the memorable summer job you’ve ever had? I ran a summer camp for kids. It was a lot of work, but a blast because we got to go to all of these cool places like the beach, amusement parks, Sea World… And the kids were so precious and fun. Reading Love is a Mix Tape by Rob Sheffield. Love. 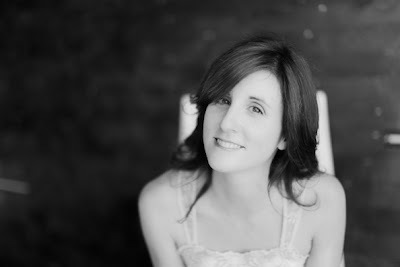 Carrie Arcos’ Out of Reach is an incredible story of understanding, clemency, and finding romance along the way. It gives detailed accounts of how substance abuse can have dangerous lasting effects not just on the user, but also the people around them. When Rachel’s brother Micah goes missing, she feels she’s responsible for his disappearance. Micah, who she idolizes, has been besieged with addiction but Rachel is convinced that his life is unaffected by it. Rachel and Micah’s best friend, Tyler, embark on a search that will have Rachel challenging her own dark secrets and having a developing fascination to Tyler. In search of her brother with nothing much to go by, she realizes that it is a possibility that Micah may never come home. The authenticity of the story is what makes this book really appealing. This is an occurrence that happens all the time and it can literally happen to anyone. Although it centers on the dangers of addiction, it explores the toll it puts on people who are affected by it. Even with Micah gone missing, author Carrie has a unique way of providing readers on the kind of person he is from Rachel’s collection of memories of her brother. Readers will grieve with Rachel as new information regarding Micah’s whereabouts seems to always be a dead-end. Carrie’s writing style is beautiful and precise. Envisioning the travels that Rachel and Tyler embark on comes almost effortless. She provides rich details right down to characters’ inner emotions. While Rachel kept her brother’s secrets, he may have left because he felt he had let her down. No matter what the truth is, Out of Reach is an authentic voyage of a person who is trying to reconnect to someone close to them caused by substance abuse. Thank you CARRIE ARCOS for making this giveaway possible. 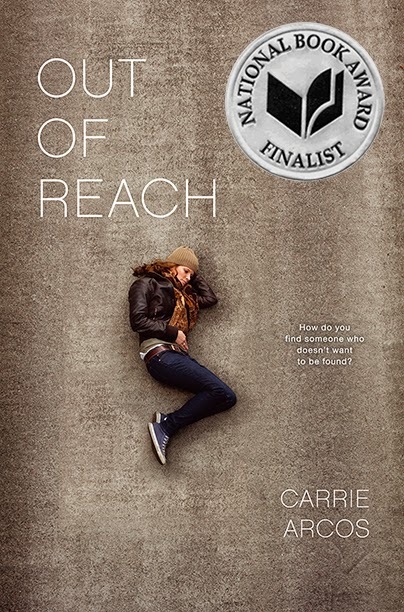 2 Winners will receive One Signed Copy of Out of Reach & Bookmark by Carrie Arcos. Rachel Stevens Art by James Vallesteros. 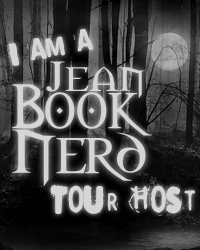 10 Winners will receive One bookmark of a Rachel Stevens Art by James Vallesteros. I left a comment..Thanks for the chance to win.. I love this interview! I think I'd like Carrie Arcos as both a writer and a person. She's got a sensible head on her shoulders when it comes to her work for sure. Awesome review and I love this interview! Rachel's guilt was one thing that really REALLY stuck out for me. I loved that about this book. Seeing how the addiction affects those around the addict. I always lie about my height too. I tell everyone on a good day, I'm 5'1. I Agree MaryAnn! This book was truly Amazing!! Loved the interview. Fantastic review. The different perspective really interests me. Up on the pile, Out of Reach. *pats TRB* There ya go. Thank you both. And much success to you, Carrie. Great Review Jean and I loved the interview.